A central UK location provides opportunities for exhibitors to meet attendees from throughout the UK and further afield. You can expect to meet and network with specifiers and purchasers from government agencies, local authorities, consultants, engineering professionals and asset owners. And, at the same time, you can showcase and present new technologies, services and products to an enquiring, specialist audience. If you don’t have equipment but want a branded place to meet, discuss, present and network with attendees? A lounge/meeting room/presentation package will be ideal for you. Or, if you have technology or products to show/demonstrate, then a purpose-designed shell stand package will be most appropriate. Early bird prices are available until 31st December 2018. 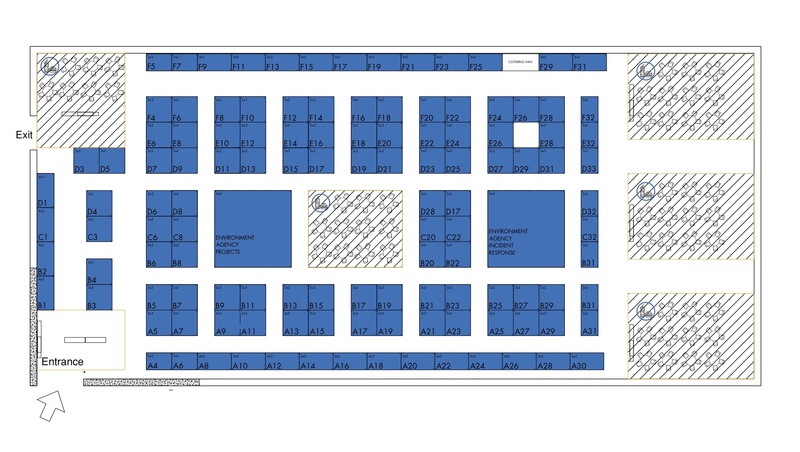 Space only stands must be a minimum of 18 sq m and exhibitors will be required to submit stand visuals/drawings in advance. Space only will not be permitted for “pop up” portable exhibition stands. Includes 2 conference passes (admission to conference sessions), refreshments and lunches each day for 2 people. One power point (suitable for laptop/mobile phone charging). For stands below 9sq m: 1 conference pass (includes admission to conference sessions, refreshments and lunch each day for one person). For stands 9sq m and over: 2 conference passes (includes admission to conference sessions, refreshments and lunch each day for two people). Full-colour fabric print to cover octanorm across the back wall only – 4 panels ( print ready artwork to be supplied by the exhibitor). Production and on site installation fees are included – design is not included. Design may be added at additional cost of £136 per metre. Two power points for laptop/phone, etc. This package is designed for companies/organisations who do not have products to display but wish to have lounge meeting/presentation space to talk with customers and suppliers and network with visitors. Design and creation of external panels. 1 conference pass (includes admission to conference sessions, refreshments and lunch each day for one person). Exhibitors will receive details of additional options for stands, eg, furniture, lighting, AV equipment, electrics, rigging, literature display, catering supplies, etc, once the stand is confirmed.